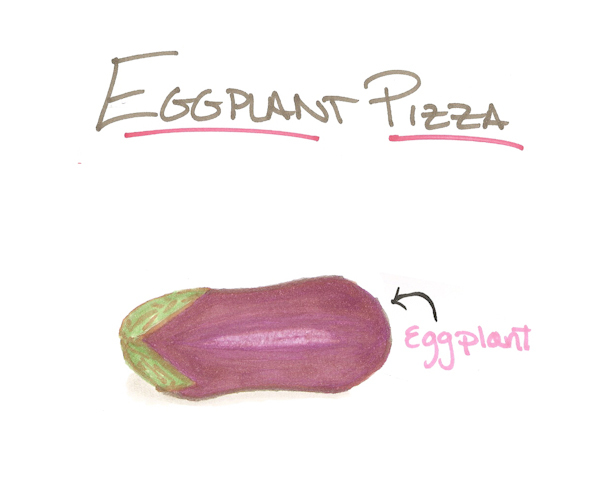 Second Floor Walkup: Cook: Eggplant Pizza -- An Illustration! Cook: Eggplant Pizza -- An Illustration! The other night I made an eggplant pizza that was super tasty. The problem? I didn't photograph it as I made it. The solution? Illustration! Cute. Wish more of my books presented information in picture form. this is brilliant :) heart!